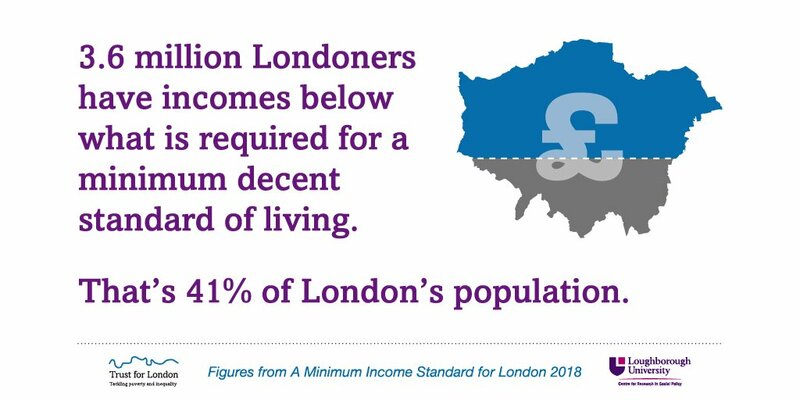 Capital for London will consider investments that in addition to offering a financial return contribute to our mission of tackling poverty and inequality in London. A community therapy centre needing investment to develop its premises in order to expand its services; this might include the Trust purchasing a property and renting it back to the centre. Start-up costs for a community horticulture project offering employment and training to people with mental health issues. Revenue from the sale of plants and services being used to repay the investment. An investment alongside a housing association or Registered Social Landlord to develop low cost housing for disadvantaged groups. A well-established legal advice project needing finance to bridge cash flow issues caused by contracted funding being paid in arrears. There is considerable flexibility in the size of our investments, with each application considered individually. Investments are likely to be in the range of £100,000 up to £1 million. Similarly, the duration of any investment is not fixed and we will consider short, medium and long-term proposals. Capital for London is distinct from grant funding and any investments made must provide a balance of risk and financial and social return. We will consider investments that provide a lower financial reward where particularly strong social benefits can be demonstrated and where risk is low. Similarly, investments with a higher level of risk will need to offset this by providing considerable financial and social returns. We will consider investment opportunities from any project or organisation that is able to present a viable and realistic proposal. When assessing applications we will consider your organisation’s size, track record, experience, and skills to manage any investment. Successful applications will be able to demonstrate a clear income stream (used to repay the investment), robust planning for the lifetime of the investment, a good understanding of any risks (and how to mitigate them) and reliable monitoring and management systems. This is however not an exhaustive list and each application will be considered on a case-by-case basis. What the investment is for and how it tackles poverty and inequality in London? How it will benefit your organisation. To what extent you have developed your ideas e.g. we will need to see your business plan. What are the financial and social returns you anticipate the investment will generate? The size and duration of investment required. Who else you are seeking investment from? What income streams or other source of income you will use to repay the investment and interest? What risks to the investment have you identified? If, following this initial proposal, we feel there is potential to take your idea further we will ask you to prepare a more detailed proposal using a form we will provide.